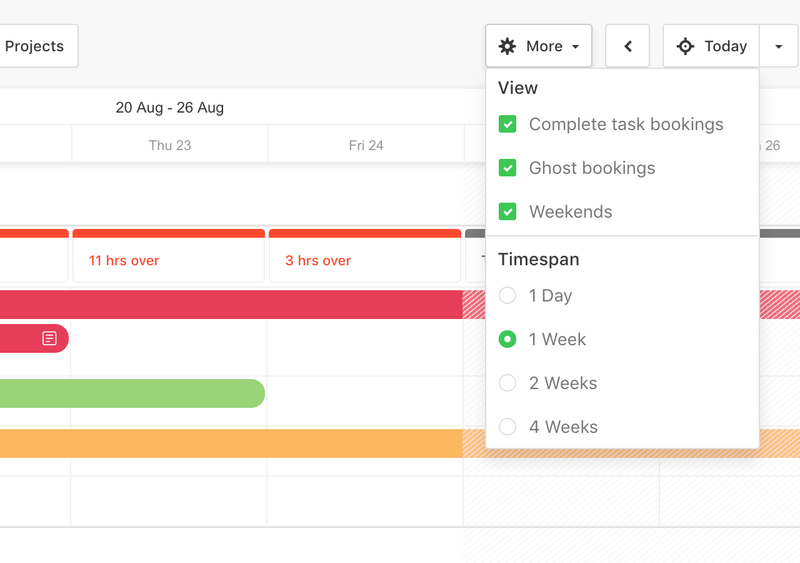 When viewing your team's schedule sometimes you want to focus on a specific day for a more detailed view or get an overview by using several weeks at a time (maximum 4 weeks). By clicking on the More button you can select different views: one day, one week, two weeks or four weeks. 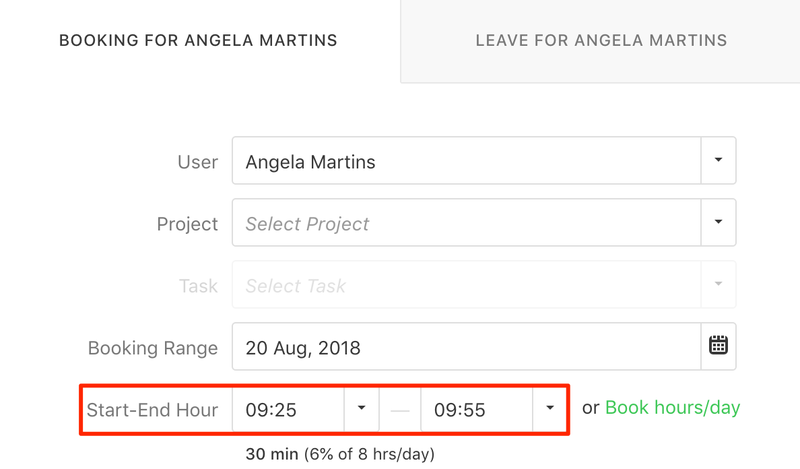 The 1 Day view allows you to create bookings for specific time intervals (for example from 9:25 to 9:55). You can also view the bookings on an hourly basis. This will help your planing be more granular. 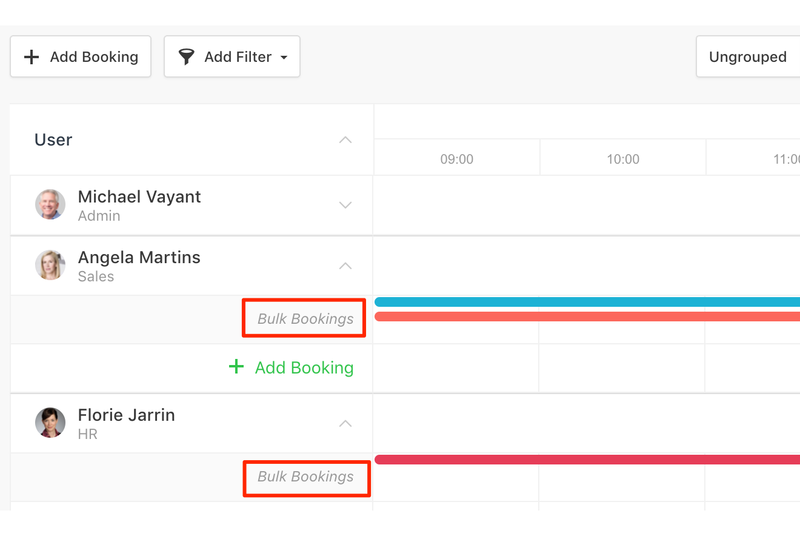 In the Day view you will notice that there are some bulk bookings, these are bookings that don't have a start and end hour, just a specific number of hours for that particular day.